I thought about it briefly back in 2011 when a giant pigeon jumped on Amanda Holden, one of the judges on ‘Britain’s Got Talent’. In fact, I went as far as emailing Simon Cowell suggesting pigeons should be allowed to enter the show, but he never got back to me despite me telling him all about the amazing ‘Pall Mall Collective’. Remember them? The pigeons that did mime? Anyway, thanks to the hard work of a pigeon called Sally, the concept has reached a whole new level: Saturday 6th June 2015 sees the launch of ‘Pigeon’s Got Talent’! Love to have seen them in action. Best bit about it is she’s asked me to help organise it as well as be one of the judges. Kid you not. Of course, I said yes. Mart wanted to get involved so I told him the most helpful thing he could do would be to spread the word. 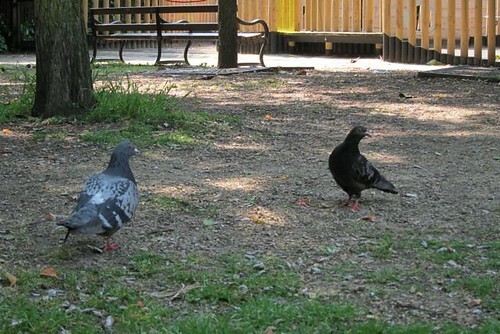 Get it out there in the pigeon community. We’re hoping to attract pigeons from all over the country, so any of you out there fancy showing your wares, let me know! We’re looking for pigeons with any sort of talent. Literally, anything at all that you think you can do better than the rest. We’ve already got the support of Martyn (below) who has held the record for the longest ever leg stand since 2012. Two days, seven hours, twenty seven minutes and six seconds. Amazing stuff. It’s just outside the Town Hall. However, if we get enough interest around the country we’re equally up for a roadshow. We’ll see. Exciting times, and big thanks to Sally for asking me to get involved. May 17, 2015 at 10:54 pm. Permalink. Take a pic. You never know. So far the dancing talent hasn’t been great. June 6, 2015 at 7:36 am. Permalink. Reckon Richard Branson might like pigeons, he’s using them in various Virgin adverts. May 18, 2015 at 8:54 am. Permalink. 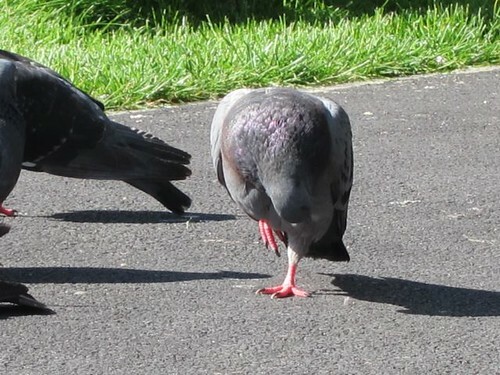 Now there’s a talented dancing pigeon! Love a good dancing pigeon. Yes they should have a chance. Doves make great dancers too. My oldest and most ancient dove in my flock of 11, use to be a great dancer in his heyday. Now an days he’s too old to even fly up/hop on to his perch for the night. He spends his days now near and around the food buffet, occasionally getting annoyed by a youngster who insists on showing/trying out his latest moves. May 19, 2015 at 10:32 pm. Permalink. 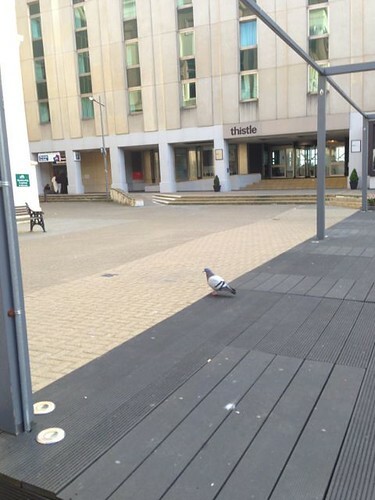 I reckon a dove with some moves would be allowed to enter…. Any of the others showing talent? June 6, 2015 at 7:37 am. Permalink.